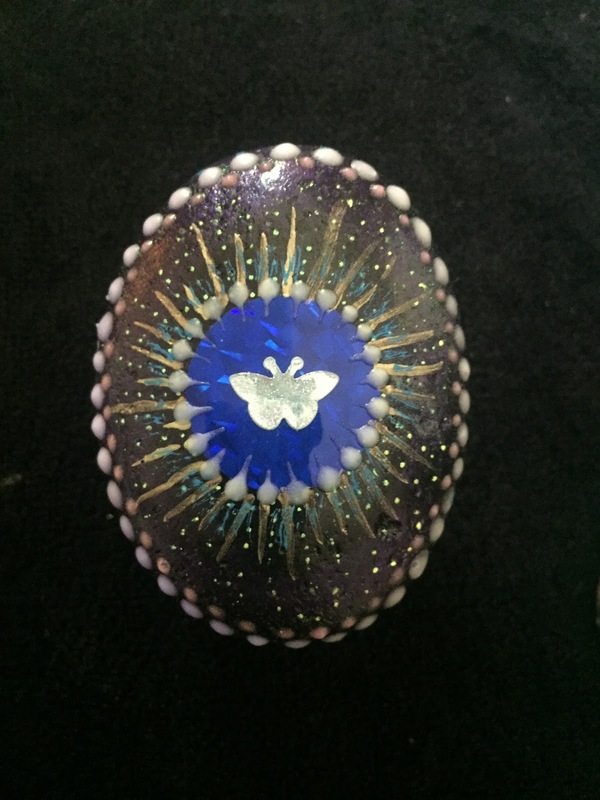 This week's rock is a simple motif featuring a silver butterfly in the middle of a dark blue background. This week I've been experimenting with Gelly pens that come in many colors and styles...glitter, metallic etc. 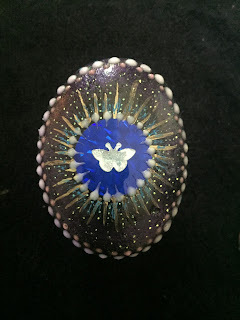 I went ahead and purchased several florescent colors, which are used on this rock to accent the area surrounding the butterfly's blue background. These pens will smear on the surface of the rock if they are not clear-coated with a UV Krylon Spray. However,after that is applied, the results look spectacular under a black light. The symbol of the butterfly is a popular one during the Easter Season, as it represents transformation, freedom and redemption. 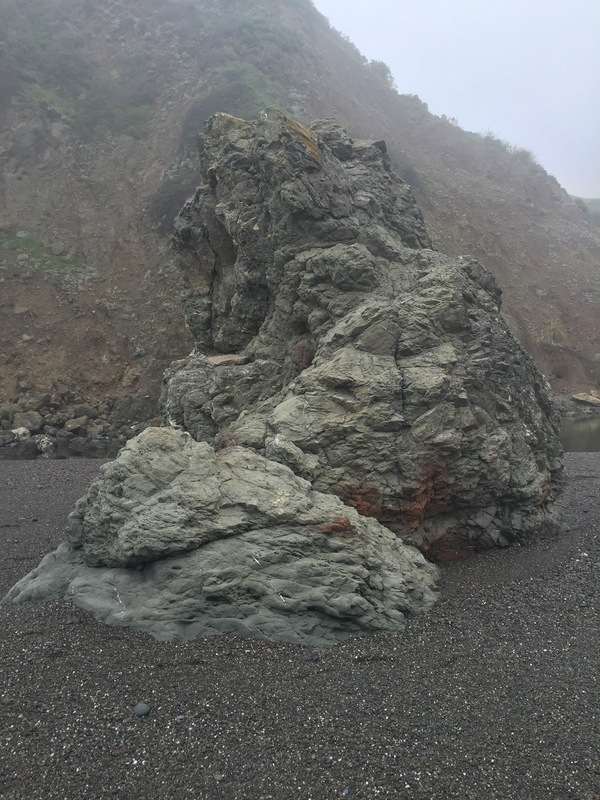 This Rock is what will greet you on the beach at Russian Gulch. 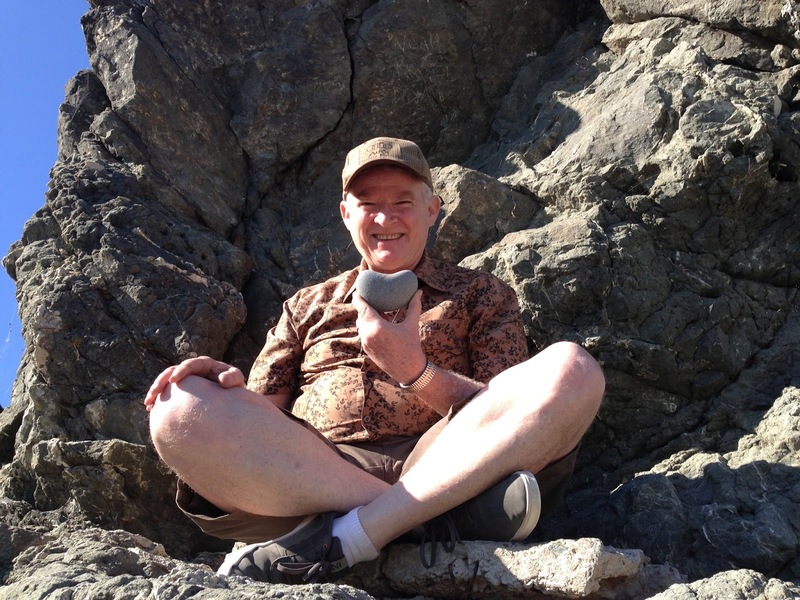 I have fond memories already, of climbing up the rock and sitting on it and looking out at the ocean.It has been a presence there throughout the year.Perhaps it was always there.Perhaps even before the continental shelf was formed.One time, their was a rock found nearby that was shaped like a heart (see below).My friend Tina took a picture of me sitting with this held in my hand happily upon the big rock. The heart rock was left on that spot because it belonged there.